I am buying a home for my mother under my name. Once we buy the house I want to sign everything over to her. Is that possible? I am buying a home for my mother under my name. Once we buy the house I want to move out and sign everything over to her or refinance. Is that possible without messing up my credit? The recent downturn in the U.S. economy has made obtaining financing for any purchase, including a new mortgage, much more difficult for most consumers. As you have probably heard on the news, many of the financial problems we are currently facing are largely the result of a crisis in the mortgage market caused by overly lax lending practices by many financial institutions. The painful consequences of these poorly underwritten loans have caused banks to significantly tighten their lending practices, making it much more difficult for the average consumer to obtain new loans. Many banks are limiting their lending to consumers with excellent credit ratings and the ability to fully document all income and assets. In addition, lenders are requiring much larger down payments than they demanded during the “housing bubble” of the past few years, when many consumers were able to obtain a mortgage with zero down payment. Today, many banks are restricting loans to those consumers who are able to pay 20% or more of their properties’ values as a down payment, greatly constricting the number of consumers who can afford to purchase a home, especially in areas of particularly high home prices such as California. I assume that you want to purchase a home for your mother because she is unable to qualify for a mortgage loan on her own, either due to problems with her credit or because her income and/or assets are insufficient to qualify. While I certainly commend your desire to assist your mother in buying a home, transferring the property into your mother’s name may not be more difficult than you anticipate. If you are able to purchase the home without financing, you should be free to transfer the property to your mother simply by filing a quitclaim deed with your county recorder’s office. However, if your plan to purchase a home for your mother involves obtaining a mortgage on the property, your ability to transfer the house to your mother after the sale could be largely circumscribed. Even if you refinance the loan, you would probably not be able to remove your name from the loan, only to add your mother’s name; if you want to include your mother’s name on your loan, it would probably be more cost-effective to include both names on the original loan rather than refinancing to add your mother’s name at a later date. To learn more about refinance loans, I encourage you to visit the Bills.com refinance resources page. The only way that I know to completely remove your name from the home’s mortgage and deed would be to sell the property to your mother, which would require her to obtain her own financing sufficient to pay off your mortgage. While it may seem strange for you to purchase a home just to have your mother purchase the home from you, I can see several possible advantages to such an arrangement. First, your mother will have use of the home while you and she make arrangements for her to purchase the home from you; given the current state of the credit markets, it may take your mother some time to find affordable financing, but she will at least have a place to live while she is waiting for lending conditions to improve. Second, by the time your mother is able to purchase the home from you, your mortgage balance should be a good bit less than the actual value of the home, especially since you will likely be required to make a large down payment. Since she will presumably need to borrow a fair amount less than the home is actually worth, she should be able to obtain more favorable financing than if she were trying to finance the full value of the home. To read more about mortgage loans, you should visit the Bills.com mortgage resources page. If you submit your contact information in the Bills.com Savings Center on that page, we can have several of Bills.com’s partner mortgage lenders contact you to discuss the mortgage options available to you and your mother. Of course, your mother’s ability to obtain a mortgage in her own name will largely depend on her credit score and how potential lenders view her ability to repay the loan; the time that your mother is waiting for market conditions to improve should give her some time to work toward increasing her credit score, which should improve her chances of obtaining a reasonably-priced mortgage loan when the time comes. In answer to your question about how purchasing a home for your mother will affect your credit score, Please keep in mind that credit scoring is much too complicated and depends on too many factors for me to tell you how any specific action will affect your credit rating. Generally speaking, such a large purchase will increase your total amount of outstanding debt, which may reduce your credit score, but the decrease should be relatively small. As long as someone, whether it be you or your mother, is making the mortgage payments on time, your credit score should not be significantly affected. Your credit score may even increase as you continue to make the payments on the loan, as you will be building a new positive trade line in your credit profile. However, if the payments are not made in a timely manner, your credit score is likely to suffer by a relatively large amount; most credit scoring models consider a delinquency on a mortgage loan to be a more serious problem than a missed payment on a credit card or other unsecured debt, so if you decide to move forward with financing a home for your mother, you would be well served to make sure that all payments are made in a timely manner. 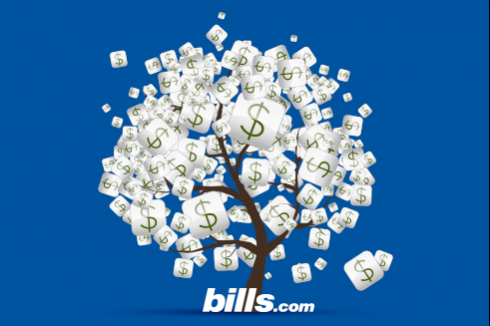 Bills.com offers a wealth of information regarding credit, credit reports, and credit scoring, available at http://www.bills.com/credit/. I wish you and your mother the best of luck in finding a mortgage loan that meets your needs, and hope that the information I have provided helps you Find. Learn. Save.